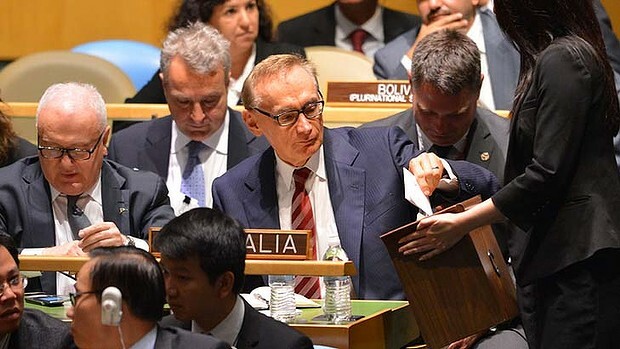 Australia raced ahead of Luxembourg and Finland in voting at UN headquarters to win membership of the UN Security Council. A triumphant Foreign Minister Bob Carr told reporters in the UN lobby: "It's always good to see Australia win - and this is a big, juicy, decisive win." Interesting, i wonder if Australia will make a difference and "vote with their own mind" of if they will kowtow to the USA for the next 2 years. Its a great responsibility and will make us step up our level of personal responsibilty with how well/poorly the world is run.